It feels like just yesterday I was taking Zach Senior photos. 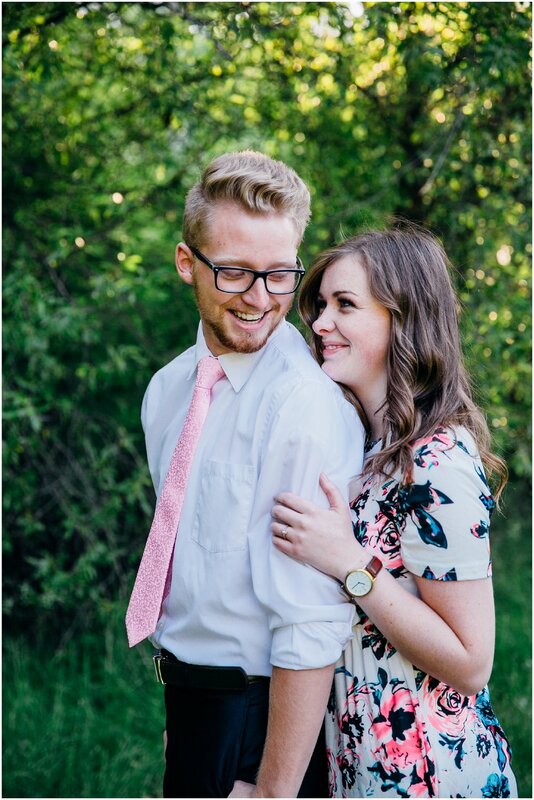 And now he's home from his mission and engaged to the love of his life! It’s crazy how time flies. I’ve known the Meng family since I dated my husband and I've had multiple opportunities to document their entire family. 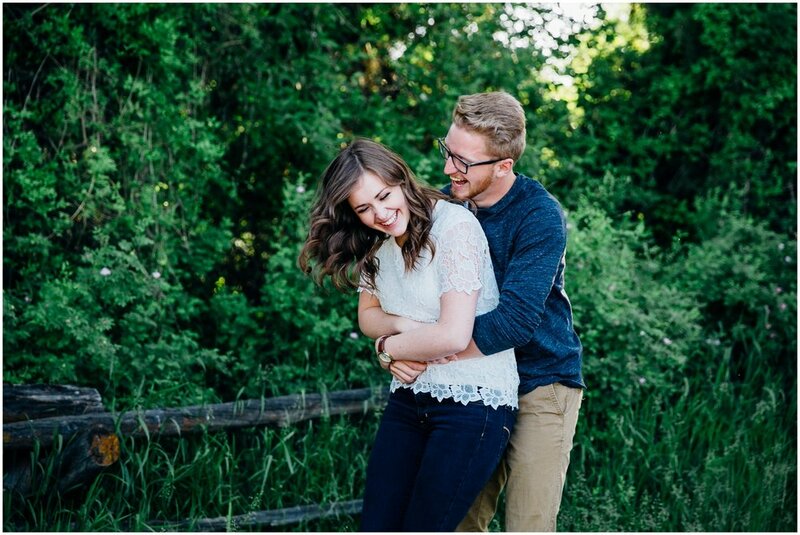 Maddi and Wyatt's sand dunes shoot was a blast, and Tanner and Brittny's bridals in Pocatello were stunning! And those are just a few that I have on my blog. 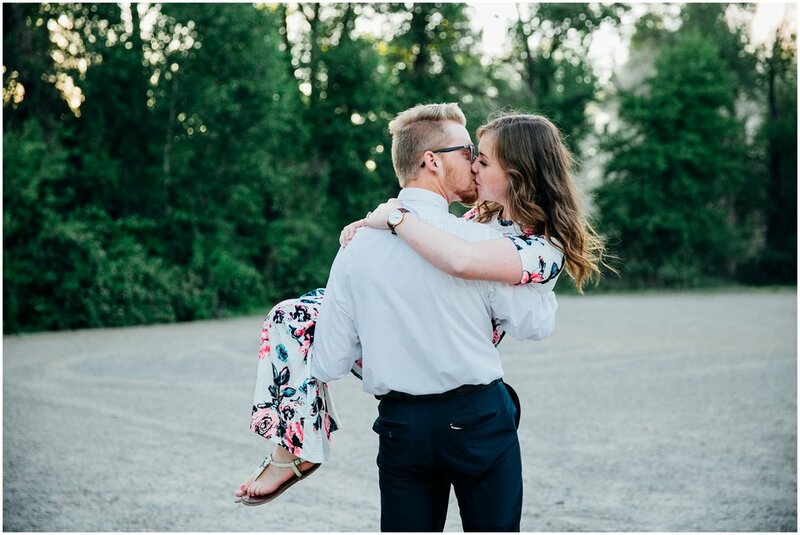 Jeni and Zach have a way about them that makes those around them want to have fun as well! And I'm so glad that's what we did during their session; had fun! 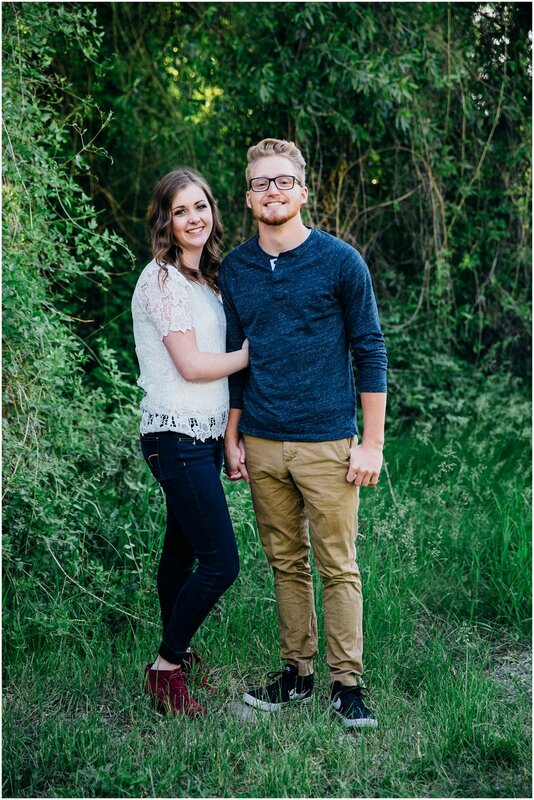 My husband, Jacob, actually came with me to Zach and Jeni‘s engagement session. I sometimes struggle with the creative side of photography because I know the poses and the light that works perfectly to get good shots that turn out. But every time my husband comes he throws out an idea that just steals the show! It blows me away. This time he came up with an idea that involved our Mustang, of course. He ended up drifting on a dirt parking lot and creating dust behind Zach and Jeni. 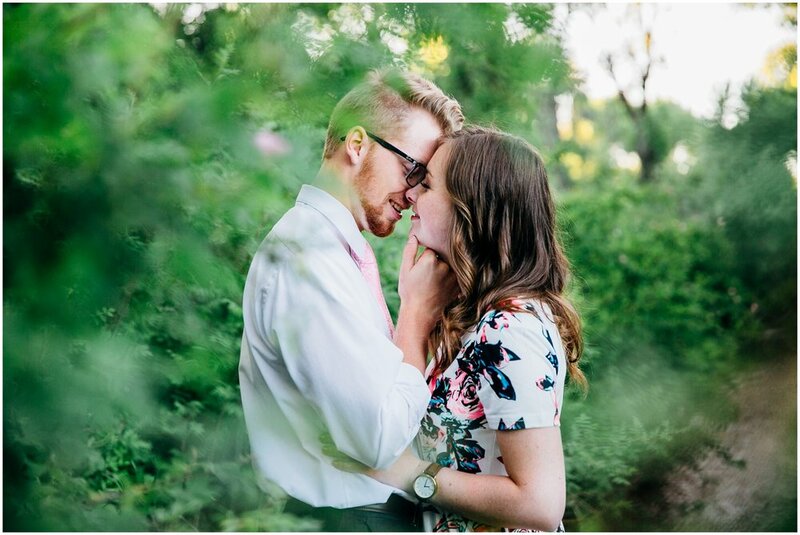 It created some super unique and interesting photos which are some of my favorites from the entire session! I am so glad my husband gets to come with me on these shoots, epecially with such good friends. He's known the Meng family for over 15 years! We consider the Meng's family so these sessions hit home for both of us. Congrats Zach and Jeni! Can't wait for the wedding in August! And here's a few behind the scenes showing what it took to get these epic shots! Thank you, Jacob for your creativity and helping make these cool shots!